In one year, WeWork has expanded to nine locations in three key cities, with over 10,000 members and 12,000 desks. Coworking space provider WeWork is aiming to double its locations in India to 20 by the year-end. 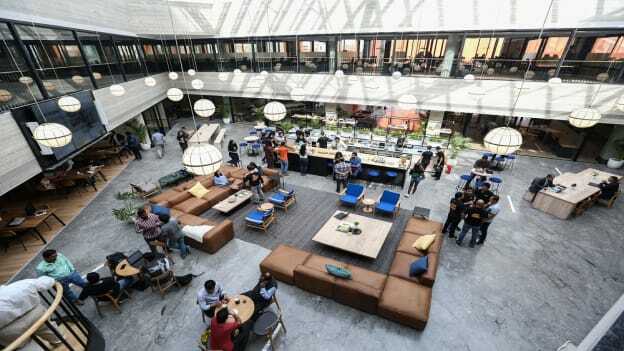 The collaborative space provider which has completed one year in India after the launch of its first location - WeWork Galaxy - in Bengaluru in July 2017, has expanded to 9 locations across three key cities, i.e., Delhi, Mumbai and Bengaluru with over 10,000 members and 12,000 desks. It is looking to continue its growth trajectory with plans to expand to Pune, Chennai, and Hyderabad by next year and reach 35,000 desks by the end of this year. By the end of 2018, it aims to open 4 more locations in Delhi, 4 in Bangalore and 6 in Mumbai, raising the number of locations up to 20. WeWork had entered India through a joint venture with Embassy Group in July 2017. Founded in 2010 by Adam Neumann and Miguel McKelvey in New York, the company now employs more than 3,000 globally. WeWork currently has more than 283 physical locations in 75 cities and 22 countries around the world. WeWork India plans to further expand to Pune, Chennai, and Hyderabad and hire 150 people across sales, community and design and development by next year. Earlier this month, WeWork had also announced a commitment to be a meat-free organization.